Every day, educators share their creative uses of Flipgrid to amplify student voice and foster social learning both inside and outside of the classroom. Now this type of sharing has a home. Welcome to the Topic Discovery Library! 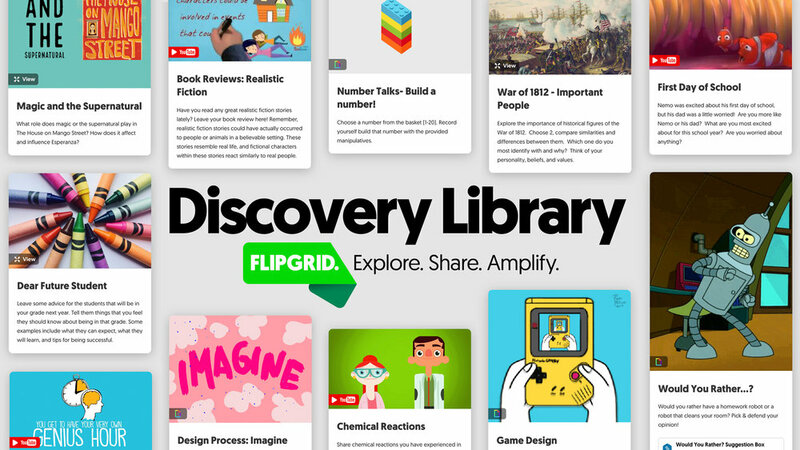 Discovery Library is the spot to share your best Topics with the Flipgrid community and steal (in the best sense of the word) Topics posted by your peers. 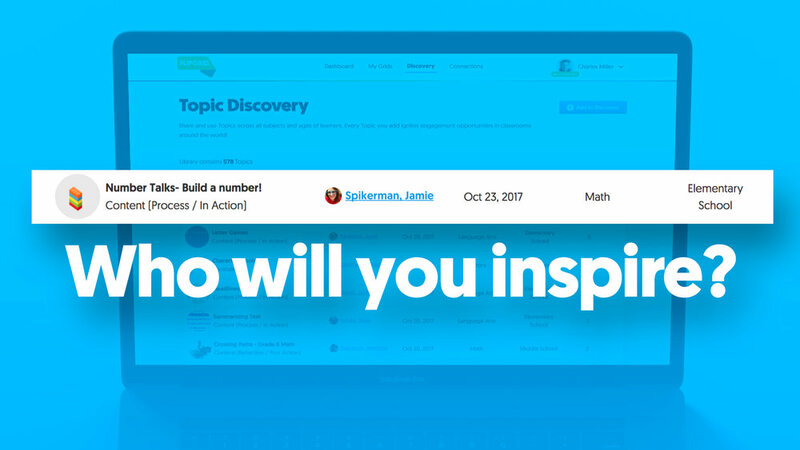 You can find it by selecting the Discovery tab in your Flipgrid Admin. When you post a Topic to the Library, no student content is included. You are sharing only the Topic template and linked resources. To share, just select Actions then Add to Discovery next to any of your existing Topics. To make it easier for others to find what theyâ€™re looking for, youâ€™ll be asked to select an Audience, Topic Subject and Topic Goal. Also, be sure to include Integration Notes on how to use this Topic. 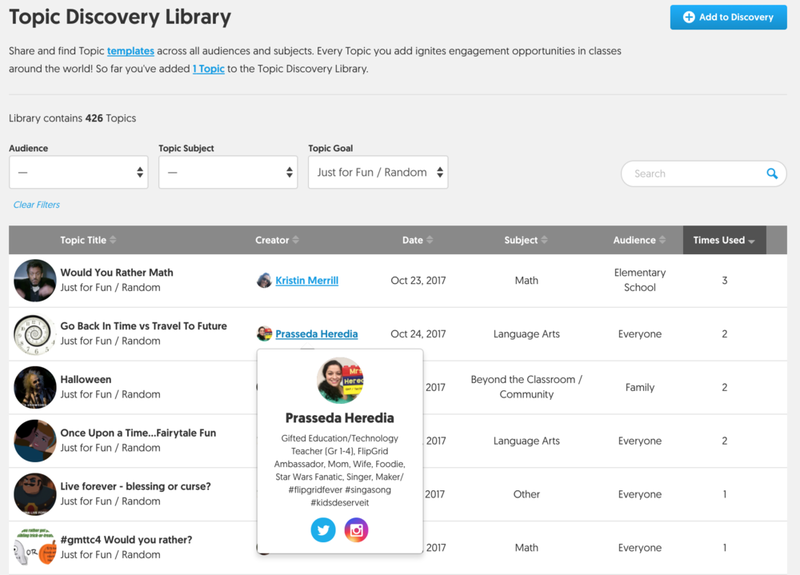 The Discovery Library is also a great way to build your PLN! By adding a short bio and linking your social profiles, fellow educators have a direct link to connect with you. Create your profile by selecting your Name in the top right menu, then Account Settings. We can't wait to see what you share. Prepare to inspire and be inspired!